Set to the driving rhythms of M. Shrieve this signature piece blends the sensuous movements of the Middle East with the bold, striking movement of contemporary dance to create a visual montage of vibrant images that explode with energy. 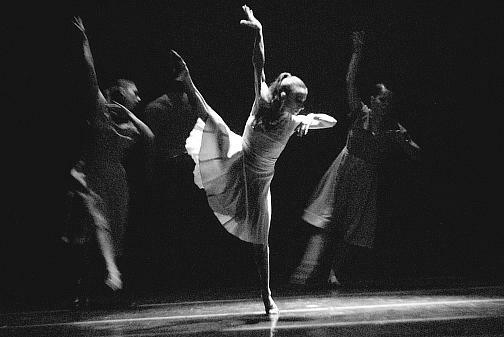 A woman dances, imagining her love and partner in a solo, sensual dance of memory and yearning. 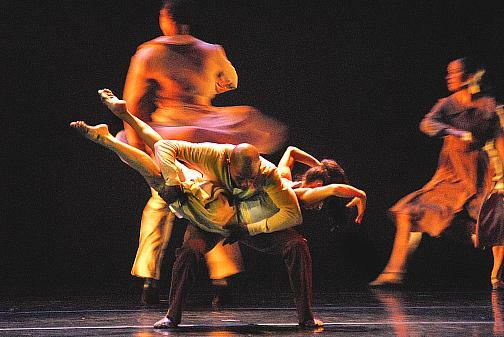 A recognized as a modern dance classic and is in the repertoires of the Alvin Ailey American Dance Theater, the Dayton Contemporary Dance Company, and the Ballet Hispanico among other. Perhaps his best known piece, 'Games' juxtaposes the innocent imaginings of urban children with the real dangers they face. 'Games' will be presented with live singers. 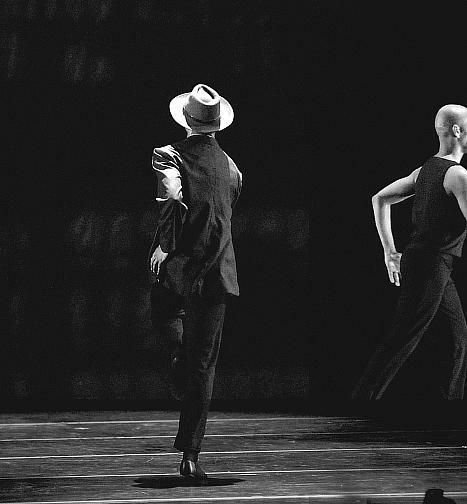 Depicting a by-gone era, the dance travels through three historic periods, Pre-World War 2, World War 2, and Post-World War 2, capturing the relationships of people meeting on trains and the circumstances that bring them together and rip them apart. Evidence of Souls Not Seen by Leni Wylliams set to the music of Mahler and Elgar the work is a beautiful and poignant trio for 3 men honoring those who have passed on and their spirit and love that remain with us. Explorers the often painful tensions of comings and goings; meetings and partings; loves won and lost. 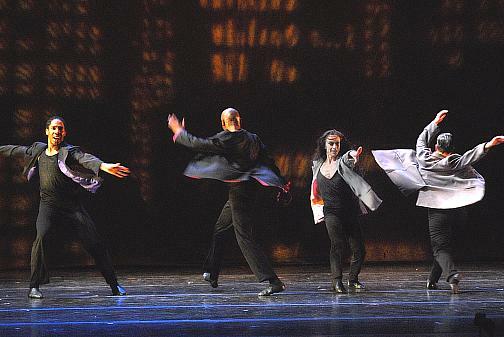 The Wylliams/Henry spring show for 2008 was a finely tuned set of pieces from the repertoire, adding a new piece, "City" by Jennifer Muller and a piece not seen for several years, "Evidence of Souls Not Seen." "City" is in constant motion, feeling, not unlike Koyaanisqatsi, like a hyperactive meditation, drawing you into the churning energy, which you can feel through the air, as you do when approaching New York City itself. The music and the energy level are not frenetic so much as just plain active. 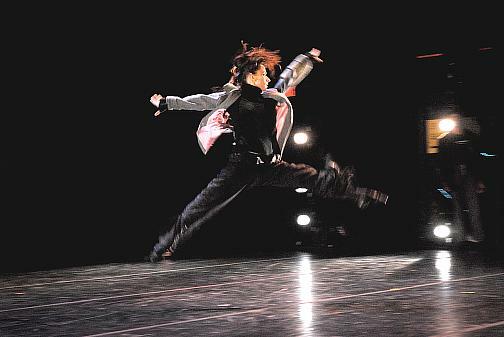 "City" starts with soloists overlapping slightly and gradually increasing the number of dancers all of whom have their own active and solitary paths which overlap and intersect with each other, as do people in a city. 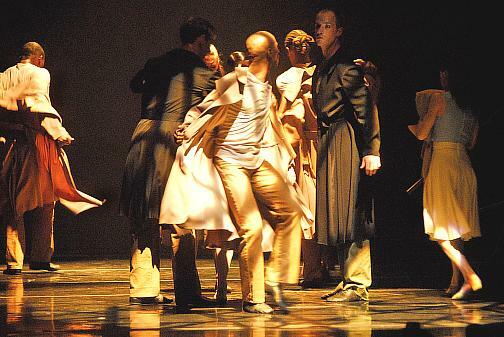 Then, as in any natural pattern of interactions, the numbers of dancers onstage varies from soloists, to duets and other groups, sometimes overlapping groups, constantly moving on and off the stage. Some recognitions are challenges and some are playful. All are personal realizations. "City" is more than 20 minutes (24 including bows). There is no overall story line, but there are numbers of small stories, one after another and often spinning off from each other. 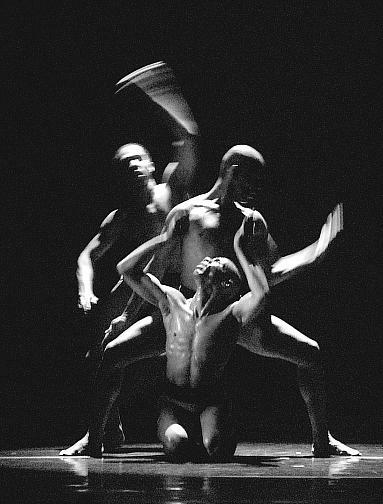 Three pieces were choreographed by the late Leni Wylliams: "Evidence of Souls Not Seen," "Sha Tah Tee" and "Minus Him." Together they formed a smooth and powerful tribute to Wylliams' choreography which always feels transcendent but seems even more so with three pieces performed together. "Sha Tah Tee" has the company in phalanxes of men and women crisscrossing on stage in pulsing, vibrant color driven by the music. "Minus Him" is a solo featuring DeeAnna Hiett. When Hiett is onstage with other dancers you are compelled to watch her. When she is solo you just watch. It is the combination of being in complete command of her placement and movement coupled with her fluidity. "Evidence of Souls Not Seen" is the kind of male ensemble piece which used to be less common, especially when Wylliams was choreographing. He is able to combine give us the beauty of male bodies in concert with soul-borne sensitivity. 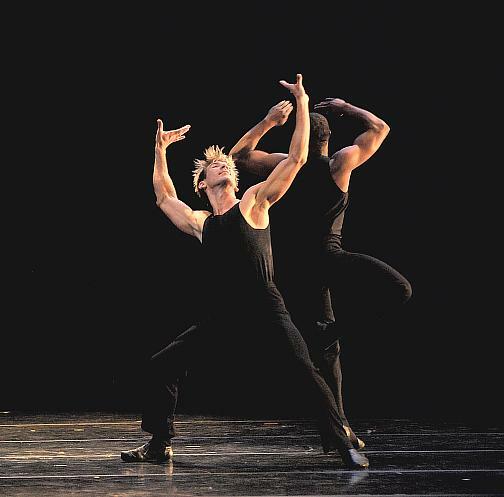 The company reprised Donald McKayle's "Games" with some of the roles going to some of the same dancers, such as Jerome Stigler (Nuney) and DeeAnna Hiett. Singing were dancers Rodni Williams and Christina Burton. Nuney was again hilarious playing with a pair of tin cans turning the cans into a variety of props for a wide range of imaginary characters. DeeAnna Hiett was again the sassy favorite kid who meets a tragic end. "Games" takes you in as with a fond and funny remembrance of childhood games and taunts, then throws a "hood" curve as suddenly we learn the danger of police, even to children. In a way, the entire piece is a setup for the ending. We are entertained and charmed, laughing at the remembered silly innocence of childhood games and playtime conflicts. Yet for reasons not entirely clear the neighborhood is not truly a safe place, and there is always a counter note of inner tension in the piece. (We can imagine these are racial conflicts knowing that McKayle is African-American and that this was choreographed at the start of the 50's, but with a mixed cast it is hard to limit the range of conflicts, perhaps class, although the specifics become less important than the universal structure of groups and their actors in conflicts and our personal identification with these children at play). When we are warned of "the cop" with his "billy" the children mock the cop and (Matt Carney) imitates the cop's swagger and swinging of his billy club. We, the audience, laugh at the caricature, but the characters are deadly serious and afraid children, under their seemingly childlike un-concern. We, the audience, will find out shortly, just how serious. Clearly they are well aware of the characteristics of the menace, but play as if innocent, until one of them is killed. 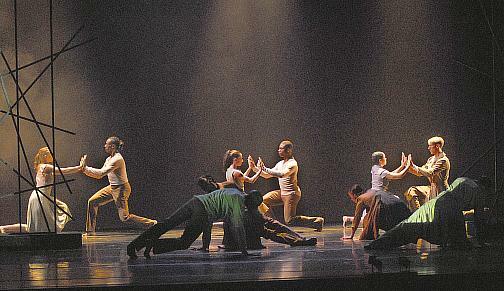 "Trains" choreographed by Mary Pat Henry was a significant new piece when introduced two years ago. Since then Henry has re-worked "Trains" adding detail in the choreography, the sets, new projections and even upping the lighting slightly, though this is still a dark piece (from my photographer's perspective) and not easy to photograph. "Trains" takes us from pre-war Europe, through the holocaust and the gas chambers to the first post-war years as the population recovers its sense of normal life. Both "Trains" and "City" use encounters to show life. In "Trains" our dancers are commuters and travelers, meeting timetables and checking for the next train to head where they intend to go. Sometimes they bump into one another as a result of the criss crossing of routes. The music by Steven Reich is as unrelenting as a drumbeat pushing us along. Over the top of the music is a constant stream of vocal train-track announcements, keeping us abreast of where we are in the narrative. The train-track announcements, giving us destinations, news and numbering the years by name. As the war years move onto the stage the trains become the means for government agents to transport the same populations to their deaths. They are arrested, imprisoned, stripped and gassed, even as they try to lift each other out of the chambers. At one point twin headlights, on opposite sides of the stage glare into the audience blotting out all detail with light. They are pointed, accusingly, back at us. There seems to be no one who can stop this, until the war ends. Gradually people begin traveling for their own reasons again. As they do so the encounters include tormented and tormentors and lost lovers' reunions. Eventually they begin to resemble their appearance in the pre-war years, adding an awareness of each other which had not been their before. This time they lift each other, not unlike the lifts of those doomed in the gas chambers, but this time into beams of light. The last show (saturday, 17th) for the Wylliams/Henry Spring Concert was canceled due to injuries. First Holly DeWitt turned her left ankle but still danced friday, although she limped to the bows after each number she was in. Then, company mainstay DeeAnna Hiett was injured, her knee again. It occurred, she said, coming offstage on an exit from a duet with Drew (late in the piece, the exit is at about 16+ minutes) although she continued to dance to the end of City, another five or six minutes, another eight minutes to the end of the bows. DeeAnna has had ACL injuries and had ACL surgery five years before. This time it was a torn meniscus, one of two main cresent-shaped shock absorbing pads (menisci) between the upper and lower leg (separating tibia and femur), one on the outer side of each knee joint and one on the inner side of each knee joint. This can mean arthroscopic surgery and/or weeks or months of recovery time. In any case, the injury was too severe for her to go on the next (saturday) evening. Try for a work-around as they might, the company was really not able to replace DeeAnna in time for the last performance. So the decision was made saturday afternoon to cancel that evening's show. Except where noted the pictures on this page are from performance on thursday the 15th. Evidence of Souls Not Seen by Leni Wylliams - (top to bottom) Drew Shuler, Gerard Alexander, Jerome Stigler. Evidence of Souls Not Seen by Leni Wylliams - Gerard Alexander (top) and Drew Shuler. Evidence of Souls Not Seen by Leni Wylliams - (l-r) Gerard Alexander and Matthew Carney. Trains by Mary Pat Henry - recovery - (left to right across the back) Christina Mowrey and Rodni Williams, DeeAnna Hiett and Nijawwon Matthews, Carolina Monnerat and Tracy Kofford. (in shadow, l-r, [heads] across the front) Drew Shuler, Jerome Stigler, Mary Marshall, Matthew Carney. City by Jennifer Muller - Tracy Kofford and (behind) Nijawwon Matthews. Tracy Kofford is a company member of Jennifer Muller's The Works and a choreographer. City by Jennifer Muller - Gerard Alexander (in front), Tracy Kofford and Nijawwon Matthews just behind.